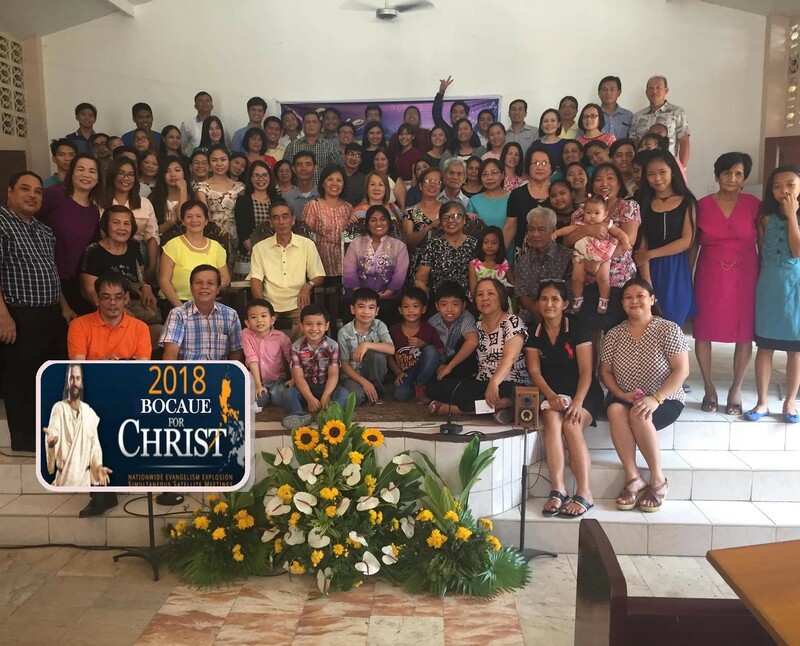 Over 44 It Is Written volunteer evangelists have arrived in Manila, Philippines, ready to begin a two-week evangelism project. In partnership with the local church, evangelists will be speaking from Friday, July 13 to Sabbath, July 20 in Manila and surrounding areas. Speaker/Director John Bradshaw will speak in Pasay City, and Associate Speaker Eric Flickinger will present in Quezon City. In addition to nightly sermons, health clinics will be held during the day. Please pray for these meetings as they get underway. Betzany had never been on a mission trip before. But over and over again, she saw God at work on the trip. When they first arrived, she dropped her computer, with all of her sermon information on it. Later, the computer stopped working and refused to turn on. She decided to make it a matter of prayer and trust that God would provide a way for her to preach. A local pastor let her use his computer for the whole campaign. She shares stories of meeting strangers and being impressed to pray for them only to find that prayer was exactly what they needed at that moment. 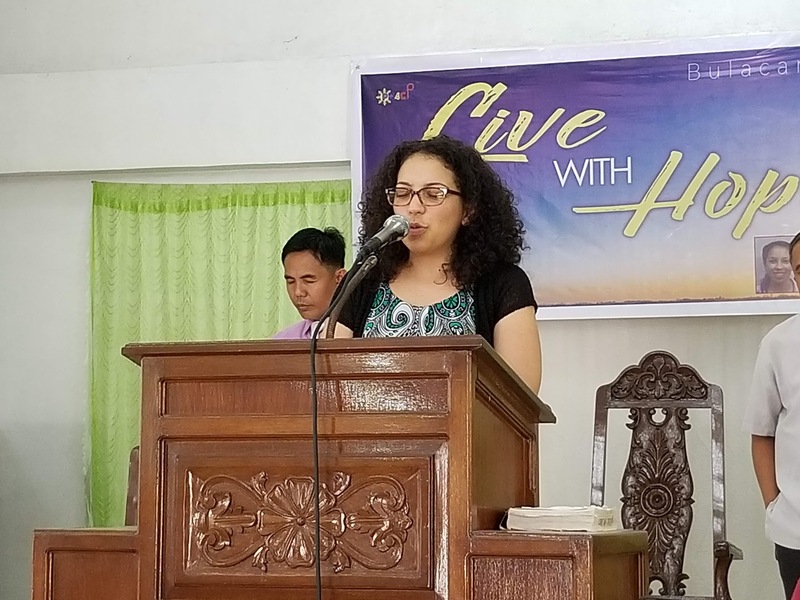 The love, kindness, and hospitality of the local church members inspired her to be more like them because in them she saw Jesus’ character. Betzany (second row, center, purple shirt) and her church members and meeting attendees. 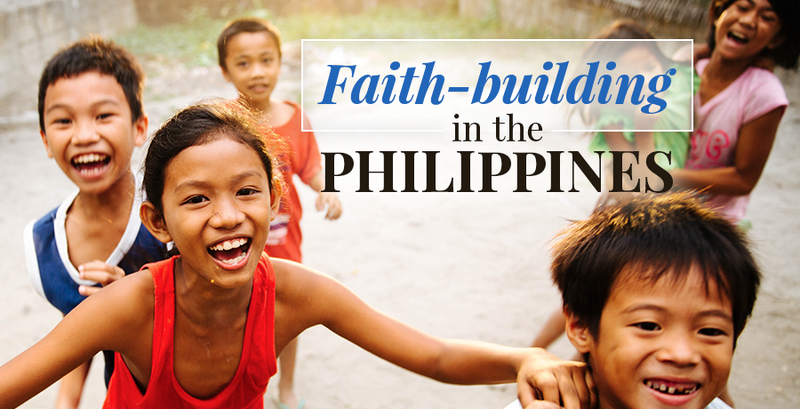 “During this trip,” Betzany shared, “the biggest lesson that I have learned is that nothing is possible without God. I learned that I am not even worthy to be telling others about Jesus. But when Jesus calls us to follow Him and do His will, we must follow. The reason I really wanted to do this mission trip was because I have felt God calling me to be a missionary. I always knew I wanted to be a nurse, so I assumed that being a missionary nurse was what God wanted from me. I had never been on a mission trip so I realized that I first needed to experience the missionary life. Would I be happy even though I would not have the same comforts that I have back home? Wendy prays before the start of her evening presentation. Wendy and Carlos are recent graduates who decided to attend the mission trip before beginning their life of ministry in New Jersey. Carlos writes, “In my time at the church of Pandi, I learned there were several people who, in accepting the truths of Scripture, were willing to lose family, friends, and home. One young man was willing to lose everything when he gave his life to Jesus three years ago. His mother started treating him poorly once he was baptized. At the age of 15, he made the conscious decision to leave his home and leave his future in the hands of Jesus. The young man was eventually adopted by members of the church and they are now his legal guardians and sponsors for his schooling. “A child between 10-12 years old stood for an appeal for baptism. The following Thursday evening, the child came back to the meeting, this time with his parents and a bag of his belongings. His parents told him that if he wanted to join the church and be baptized, he now needed to live with the youth who were in charge of the program. My translator and the other youth leader went and spoke with the youth’s parents and they agreed to allow him to be baptized and continue his life at home with them. Wendy shares a similar story about a young lady. “At my church, I had one baptismal candidate who stood out from the rest. Twelve-year-old Sherwina was visiting the church during my campaign. The young girl had the desire to be baptized and had accepted the truths of the Bible. However, because of her age, she needed permission from her guardian. The church elders had visited the home of the young lady to request permission, but it was denied various times. Once the elder made known to me that this issue was going on, I presented it to my group in prayer. It was the last week of our campaign, and we needed confirmation by Friday. “We continued to lift Sherwina up to God in prayer and asked that He would make a way for her be able to be baptized. When Friday night came, the night before baptism, I asked the young lady if she was getting baptized tomorrow. She happily said, ‘Yes!’ We all praised God for doing what we couldn’t do. 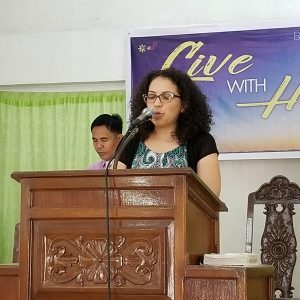 “During this mission trip, I was not only able to see how God still works in our day just the same as He was working in the times of Israel, but I was also able to see how much God is willing to do to save His children! 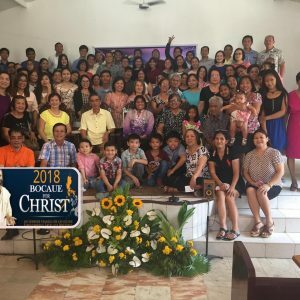 Through my experience and the relationships I built during these three weeks in the Philippines, I was able to see how the family of God can be one. No matter the culture or the country you may find yourself in, we share the same love for Jesus and a desire to follow the same truths. The word of God unites us and it brings joy to my heart to know that my church family is bigger than my home church. It is amazing to see a little glimpse of heaven when different cultures come together to celebrate Jesus.